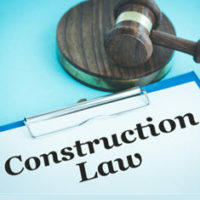 Florida Construction Contracts: What is a Change Order? Construction contracts are notoriously complex. When negotiating this type of agreement, it is not always easy for the parties to perfectly define the scope of the work that is to be performed. In many cases, contracts will need to be amended during the development. This can be done through a process commonly referred to as a ‘change order’. A change order includes work that added or deleted from an agreement after the agreement has already been finalized. Depending on the magnitude of the desired change, a change order may alter key terms of the original agreement, potentially including the total cost and the completion date. Here, our Miami business litigation attorneys highlight some of the most important things you should know about change orders in project development contracts. There were other unforeseen circumstances that necessitated altering the original agreement. With large construction contractors, the customer and the lead contractor often include a ‘construction change directive’ within the original agreement. This directive allows the owner of the project to make unilateral changes to the order. How will the requested changes alter the price and timing of delivery? That depends entirely on the specific circumstances in question. A well-drafted construction contract should have a mechanism in place whereby these issues can be negotiated and resolved with relative ease while work on the overall project continues. While the majority of construction contracts allow for changes to the original order, there must be a limiting principle in place. This creates a line that spells out what type of a customer change will undermine the entire spirit of the original agreement. When a proposed change goes too far, it is often referred to as a ‘cardinal change’. Construction companies need not comply with change orders that are beyond this limiting principle. If you or your company is currently in a dispute over the validity or terms of a change order, it is imperative that you contact a qualified Florida contract litigation attorney immediately. At Pike & Lustig, LLP, we have deep experience handling the full range of construction litigation issues. If you are involved in a dispute regarding a change order, our legal team can help. For a fully private initial case evaluation, please contact us today. From our main office in West Palm Beach, and our second office in Miami, we handle construction law issues throughout South Florida.